Getting arrested for DUI in Los Angeles often comes with additional complications. Although a DUI charge alone can be bad enough, police often identify more than one infraction when apprehending suspects. 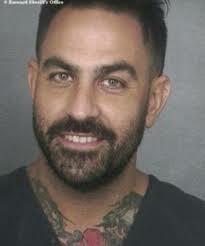 Such was the case with the September 20 arrest of “Ink Master” judge Chris Nunez in Florida. Authorities pulled Nunez over after the tattoo artist and TV star ran a stop sign. When police allegedly observed signs suggesting that he had been under the influence of drugs or alcohol behind the wheel, they arrested him. In addition to the DUI charges, Nunez will likely face a citation for running a stop sign, a traffic violation for which drivers can receive a $125 fine. 1. Additional traffic violations. If you break traffic laws (e.g. driving the wrong way, speeding, or making illegal passes) while under the influence, prosecutors can ask the court for higher fines and other penalties. 2. Resisting arrest. Drivers who interfere with arrest or resist an officer making an arrest can face misdemeanor charges in California. 3. Prior offenses. The severity of DUI charges – and the resulting sanctions – increases with each DUI arrest. 4. Injuries. Per CVC 23153, California law automatically subjects DUI drivers whose actions harm others to felony charges. If you cause severe injuries, you can wind up going to prison for several years. 5. Fatalities. If an alcohol- or drug-related crash leads to the death of an individual, the responsible party could spend from several years to life in prison, depending on whether the court finds him or her guilty of manslaughter or homicide. The easiest way to avoid such escalated charges is to avoid driving under the influence altogether. However, if you already face a DUI charge that has been complicated by accompanying citations, misdemeanors, or felonies, a Los Angeles DUI attorney with knowledge and experience can help you create a compelling and strategic defense. Contact the Kraut Law Group today to discuss your legal options.